On 16 August 2012, South African police shot and killed 34 striking miners from the Marikana platinum mine owned by Lonmin. They were on strike for a living wage, trapped in a life of desperate poverty. 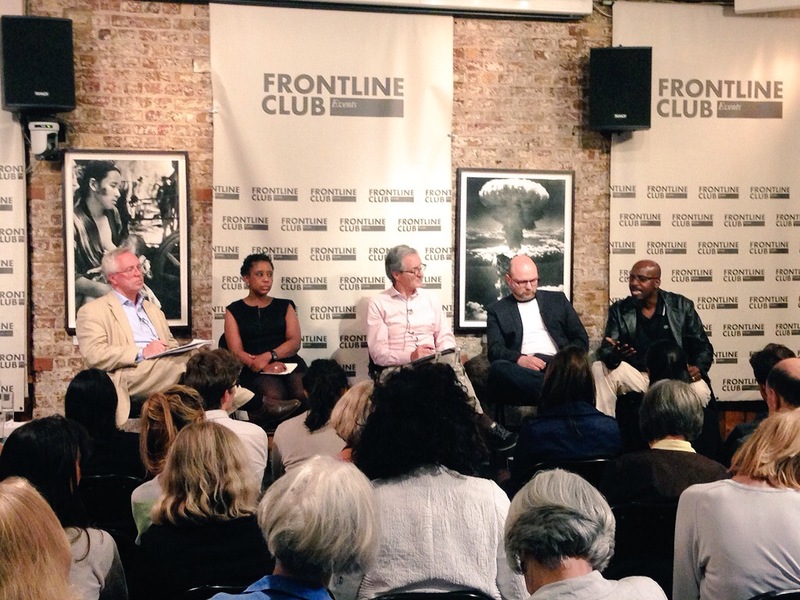 With the Marikana Commission having recently released their report into what happened, the Frontline Club hosted a two-part event on 17 July, exploring the dynamics of politics, power and platinum in South Africa. First to join the audience was photographer Jason Larkin and journalist Jack Shenker, presenting their publication Platinum. Speaking of the news coverage following the massacre, chair Richard Dowden, director of the Royal African Society, spoke of the astounding lack of voice given towards the miners in the mainstream media. Larkin and Shenker sought to counteract this predominant account, focusing on the human stories of the miners in Marikana. “These are desperate people in desperate times… from my perspective it’s a celebration of the people, their determination, their will. I’ve never seen anything quite like it,” Larkin commented. “There was this real attempt [in the media] to completely stigmatise the miners, to place them as something completely antithetical to the normal workings of the modern global economy. So we wanted to go there and build on what these other journalists had done to destroy that narrative,” added Shenker. 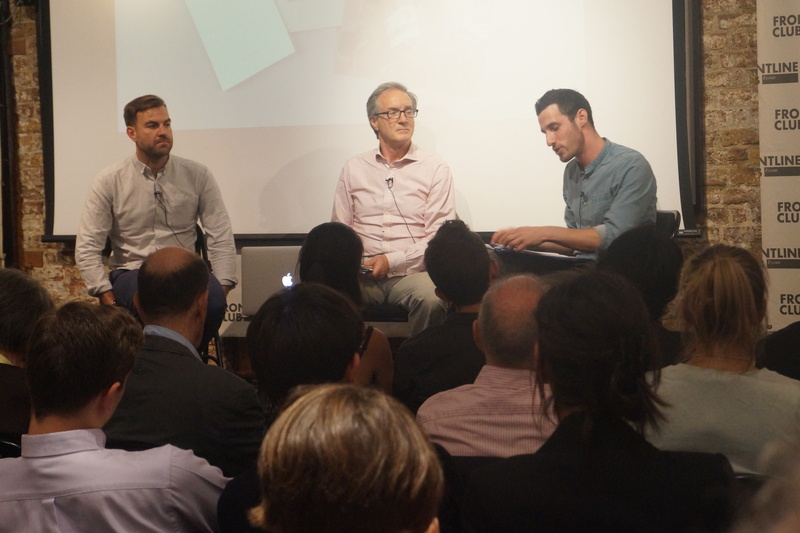 The second part of the event brought together a panel of experts to reflect on the massacre in Marikana and its consequences for South Africa. Nichol went on to discuss the changing socio-political landscape in the aftermath of Marikana: “The legacy of Marikana extends much more than this commission. South Africa will never be the same,” he said. “I totally agree South Africa will never be the same again,” added Dr Desné Masie, client manager for Southern Africa at Africa Matters Limited. “The events of Marikana were a watershed for corporate social responsibility,” she added, citing the IFC as an example. As the investment arm of the World Bank, it holds a 0.6% stake in Lonmin mine. “Why does corporate social responsibility have to be mutually exclusive from profitability?” she asked. “The tragedy of the young South African democracy is how quickly we adopted the tawdry norms of global politics,” said Andrew Feinstein, writer and former ANC MP. Rounding off the discussion, conversation moved on to the future for South Africa. For Feinstein, he is hopeful that the vibrant, rallying force of South Africa’s community will bring about change.